http://www.filmfrance.net/v2/fr/home.cfm?choixmenu=presse&France3_Lorraine_FUA3=1 – More clips of David and crew during the time there. 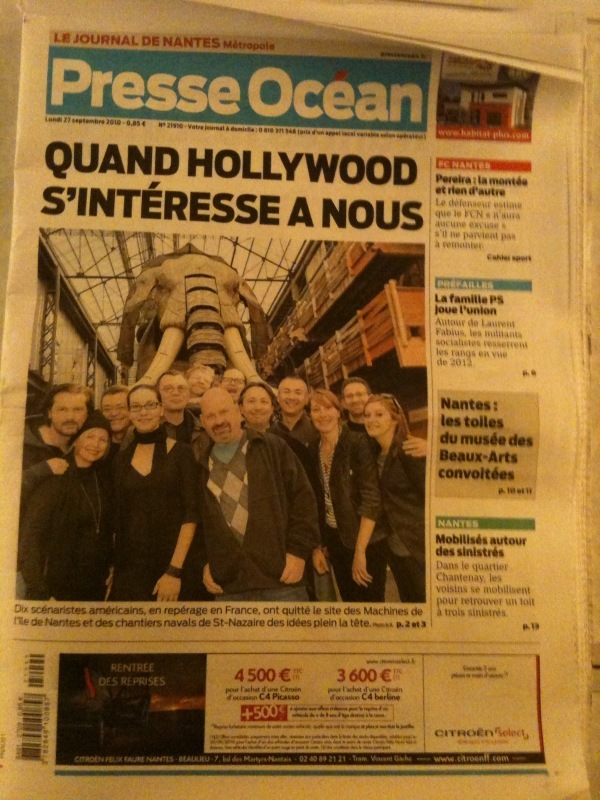 http://4.bp.blogspot.com/_rFr0JptZaGo/TKCiHZE5sVI/AAAAAAAAA38/K9mxqFTYJuo/s1600/CouvPO.jpg – French news paper with a photo of everyone! If they do it the same way as they did last year, there should be an English video being added to that site soon with more details of visuals of the trip. « David amongst one of the top 10 screenwriters to go to France!